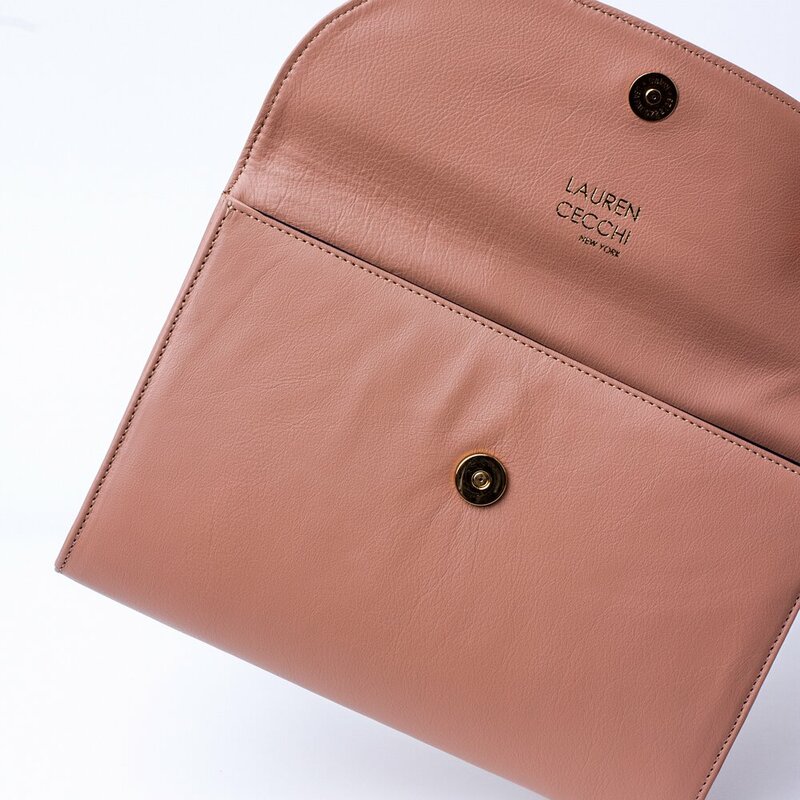 Take a neutral beige then sprinkle it with a hint of rose and you get the opulent color Rose Gold, developed exclusively by Lauren Cecchi New York. 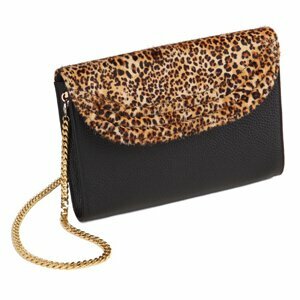 Now take that color and lay it over fine Italian leather – that is the Rose Gold Stretta clutch. 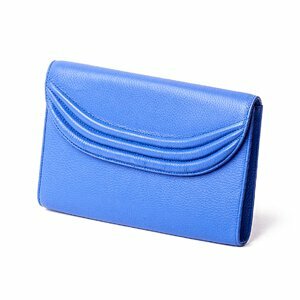 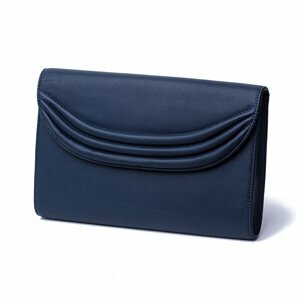 It features an ample interior pocket for storage, enough space for a cardholder and keychain, and has an understated snap closure (that way all the attention stays on your exquisite taste). 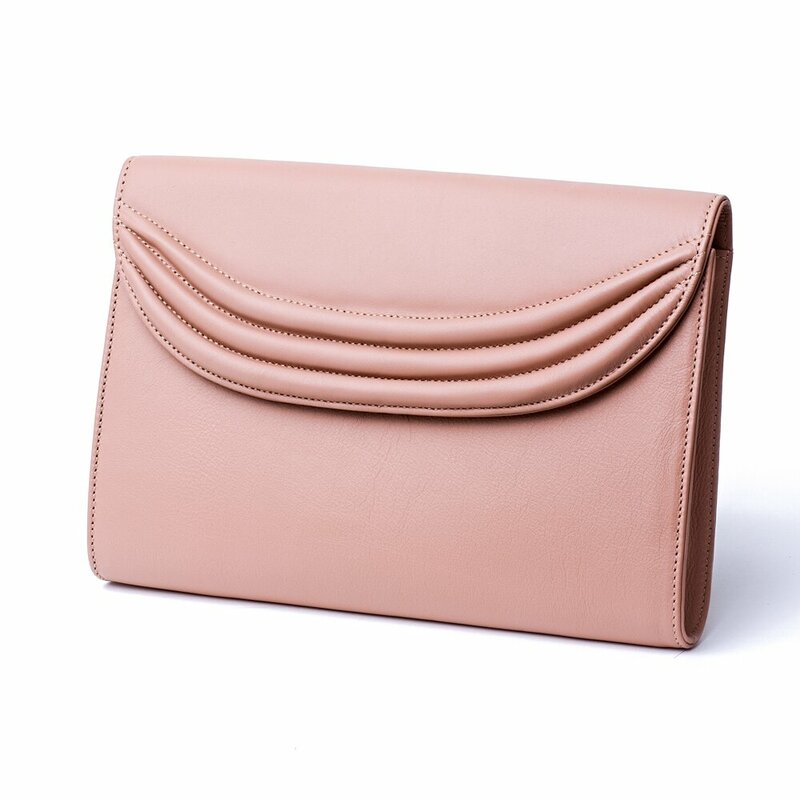 The Rose Gold Stretta is the blushing fashionista’s best friend, with iconic brand ribbing on the front flap and a modest gold embossed heat stamp logo.